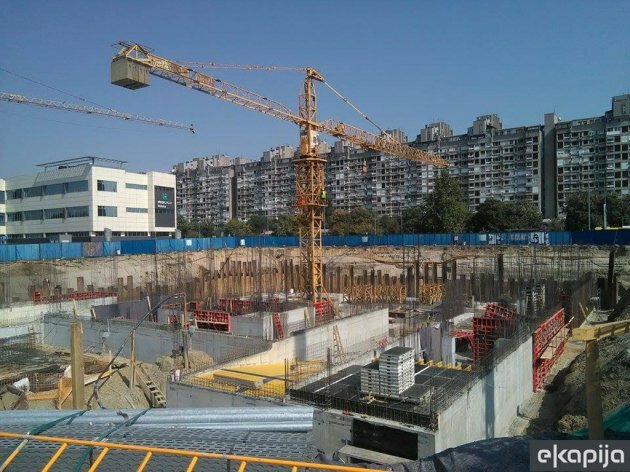 On Friday, September 4, 2015, construction of another business center on 22.000 m2 started in Novi Beograd. 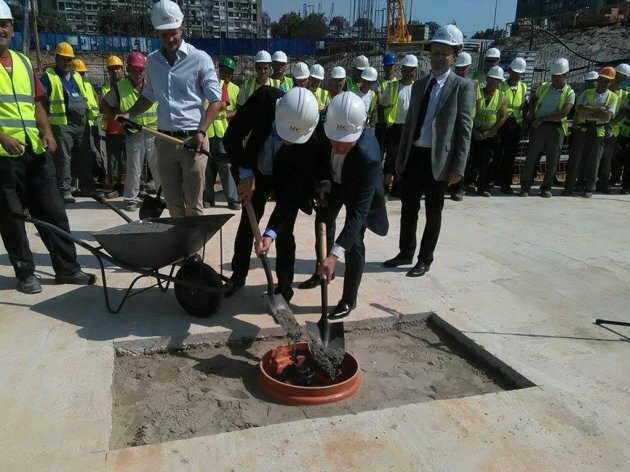 Cornerstone at the place of construction of A class facility of Navigator Business Center at Milutina Milankovica street, were placed by the executive manager of MPC Properties Thomas H. Willadsen and the mayor of Belgrade, Sinisa Mali. Balkans Real Estate, a part of MPC Properties portfolio, will pour EUR 20 m in the construction of facility with a ground floor and 8 floors. End of construction and facility opening are planned for October 1, 2016. The mayor of Belgrade outlined the investment is another conformation that Belgrade is not only good tourist destination but the place for good business as well. - Our capital will, through this investment, get new business complex in line with the highest world standards as well as a good boost for business in the country . I am sure that Navigator will place new standards at the market . MPC Properties is one of the biggest real estate companies in Serbia and this business center is the first investment in Belgrade after 2009 when the shopping mall Usce was opened. It shows that trust of investors when it comes to our towns has returned Mali said. The mayor of Belgrade added that he hopes this is the first investment out of the ones he expects by MPC Properties, but he did not want to speak about details outlining that Belgrade citizens will definitely be surprised. Half of the space at the business center has already found its renters, Thomas V. Villadsen, executive manager at MPC Properties. One of the first companies is Vip Mobile. The investor outlines that Navigator is special for flexibility i.e. the option of renters to make environment in line with their needs and wishes. This modern office building will be built in line with the highest LED standards and green construction principles and additional advantage is that the ground floor will have a private kindergarten for employees’ kids with the capacity for 120 kids. Navigator center is planned to have an underground garage at two levels with 147 parking places while open space will have 56 parking places. The facility will have a restaurant, a sophisticated lobby, roof-top green terrace, a mini market, a hairdresser’s, etc. 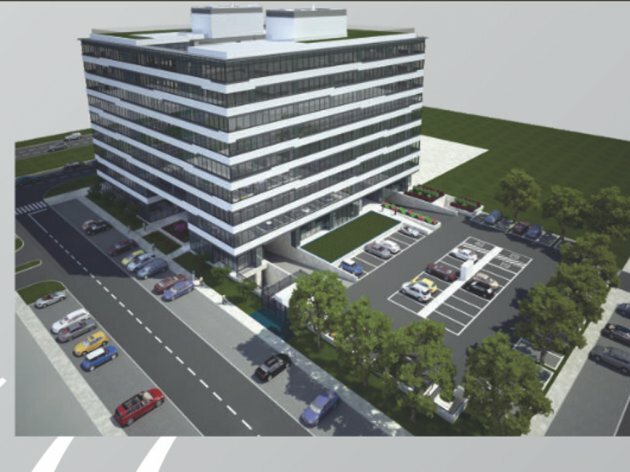 Investors are outlining the location of the business center which is located at the center of business part of the city with an excellent connection to key city locations, only 15 minutes far from Nikola Tesla airport. Contractor at Navigator business center is Belgrade-based Energogroup. Business premises in Novi Beograd is another important investment in portfolio of MPC Properties next to Usce Shopping Center, Usce tower, Immo outlet centra, Shoppi Retail Parka in Subotica whose construction has been in progress. Tradition at MPC Properties, as Wiladsen explained, to lay a capsule with coins, project documentation and in this case the stamp of the City of Belgrade, Navigator logo instead of cornerstone, so whoever is curious in 50 years, he or she will be able to take a capsule and see what happened that day.